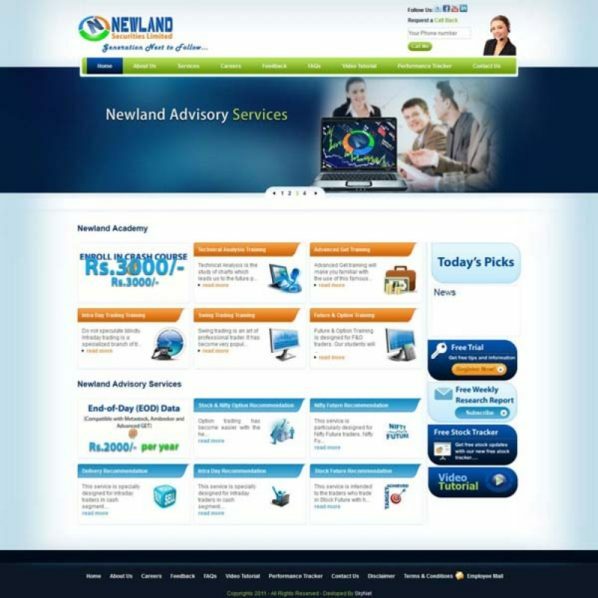 Newland has a strong presence in agricultural, software and hardware technology, insurance broking and industrial and mechanical construction domain. The site provides its viewers with thorough idea of stock market and everything related with it. It’s been crafted in such a way so that , users at all time get access to the latest updates and can share information about their trade with others. It is strongly supported by custom coding development.